Description Mounted on mat board; faded; yellowing; chipped edges. Scanned as black and white. 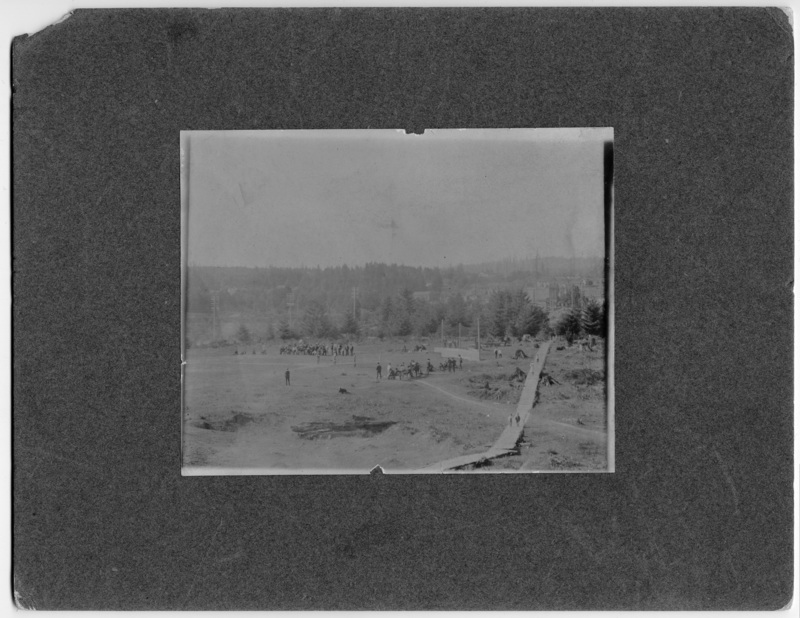 Landscape photograph of a baseball game in progress.